The information Second Harvest gathers through our website, social sites, emails and mailings is used solely to respond to inquiries, acknowledge contributions and inform constituents about food bank activities. Transactions on this site are secured via PayScape Advisors. Second Harvest Food Bank will never sell, rent or exchange donor information with other charitable or commercial entities, except as is required to accomplish food bank functions. Once you provide Second Harvest with contact information, you are no longer anonymous, and the food bank may contact you using the information you have provided. You may opt out of specific communications at any time by emailing info@secondharvestetn.org. 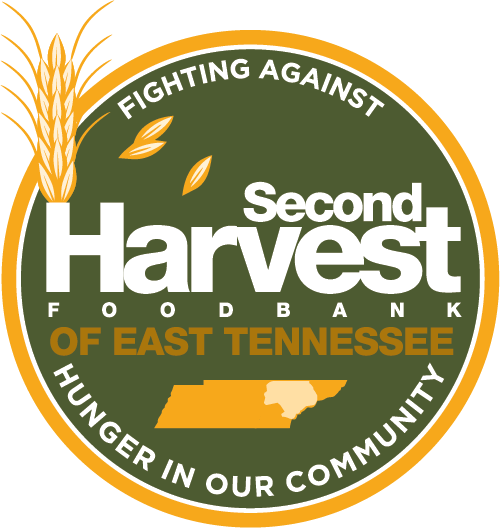 Second Harvest Food Bank is the East Tennessee region’s largest hunger-relief charity; operating programs in 18 counties. The food bank secures and distributes more than 18 million pounds of food and grocery products annually through a network of 575 partnering non-profit organizations such as food pantries, soup kitchens, emergency shelters, and schools.